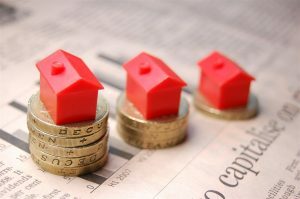 Will Buy-to-Let Scrutiny Ease Emerging First Time Buyer Age Gap? The buy-to-let market has been transformed during 2016 – with landlords facing restrictive new legislative hurdles put in place by the government in an attempt to assist first time buyers climb on the property ladder. April 2016 saw the introduction of a second property tax, which added 3% to the stamp duty charge when purchasing a property, however, from January 2017, buy-to-let borrowers will face additional scrutiny in the shape of affordability checks and mortgage repayment stress tests to ensure landlords could cope with paying interest rates of 5.5%. An interest coverage ratio of 125% is also being recommended. Despite the rule changes property affordability for younger people remains a big problem, and new data shows that a large gap between the average age of first-time buyers around the UK is emerging. The Halifax study shows that there is now a seven year difference between the average age of first-time buyer in the cheaper areas of the UK, than the pricer parts of South East England. According to the study, Carlisle (Cumbria) and Torfaen (South Wales) have the lowest average age (27), with the oldest average (34) buying their first homes in Slough, Barnet and Ealing. If you are a first time buyer looking to purchase a property, a parent looking at the best way to help your children buy their first home, or a landlord seeking the best mortgage rates, why not call Steve Padgham at The Financial Planning Group on 020 8614 4782, or e-mail steve.padgham@fpgonline.co.uk. He’d be delighted to help.